This clean and functional berlinetta body style by Pinin Farina first appeared on the 250 MM with 2.400 mm wheelbase and 200 hp 3.0 Litre engine. 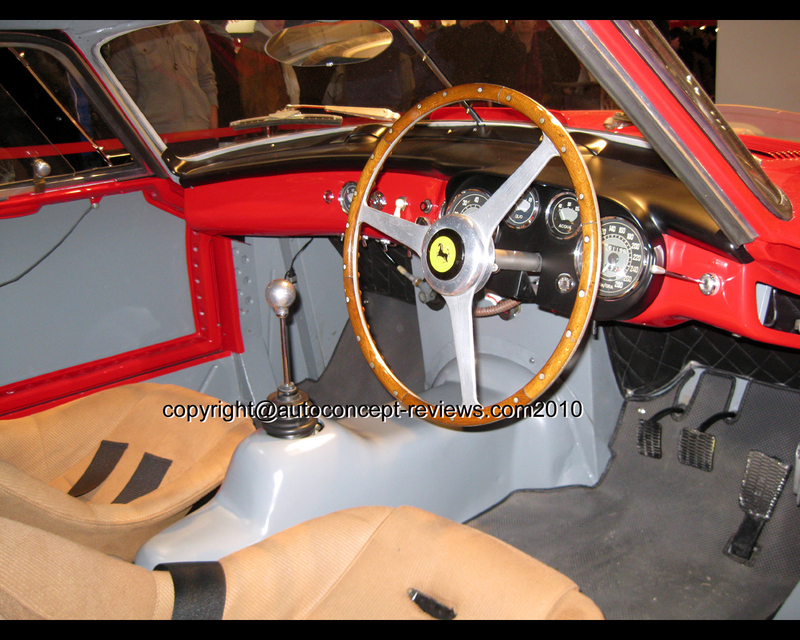 It participated in the 1952 Mille Miglia , Le Mans 24 Hours and Carrera Panamericana. 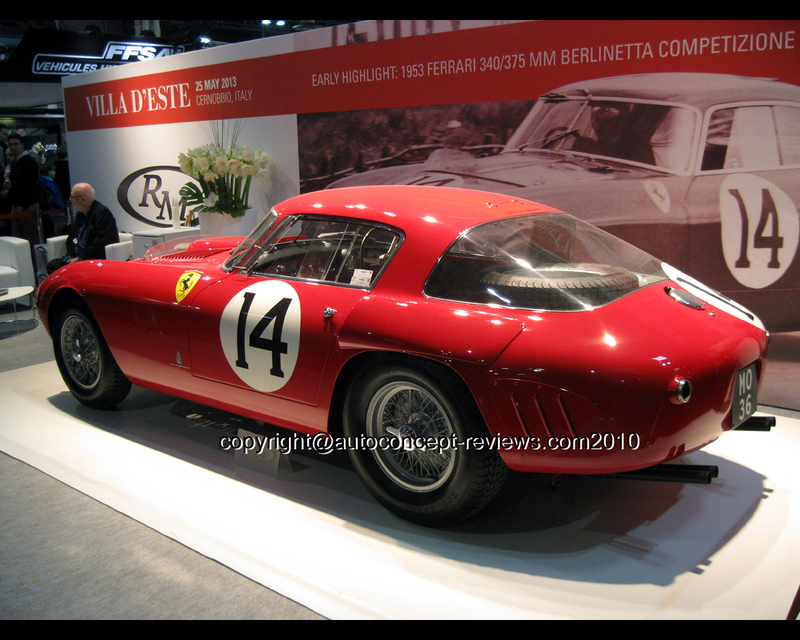 The Pinin Farina berlinetta body style started from the round radiator grille aperture feeding air to the engine compartment. The clean body flanks terminated in a curved wraparound rear end with a panoramic rear window. A cylindrical air scoop above the rear wheelarches ensures both brake cooling and suspension traveling. Nothing in this shape is superfluous, it looks like every surface shape is essential. 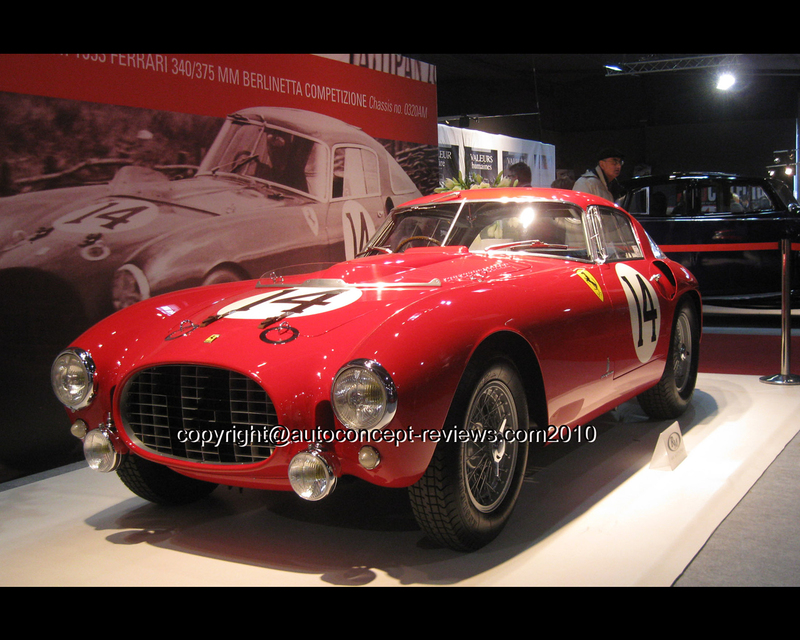 MM goes for Mille Miglia and commemorates the 1950 and 1951 victory of Ferrari in this famous Italian endurance event. In 1950, when Aurelio Lampredi took over engine design from Giacchino Colombo, he suggested to build atmospheric 4,5 Litre V12 rather than supercharged 1,5 Litre V12 for Formula One racing. A lower fuel consumption was one of the argument. A first 4,1 Litre V12 was built and later converted to 4,5 Litre. These engines were adopted for sports racing cars and road legal coupes or spiders with 340 designation for the 4,1 Litre and 375 designation for the 4,5 Litre engine. 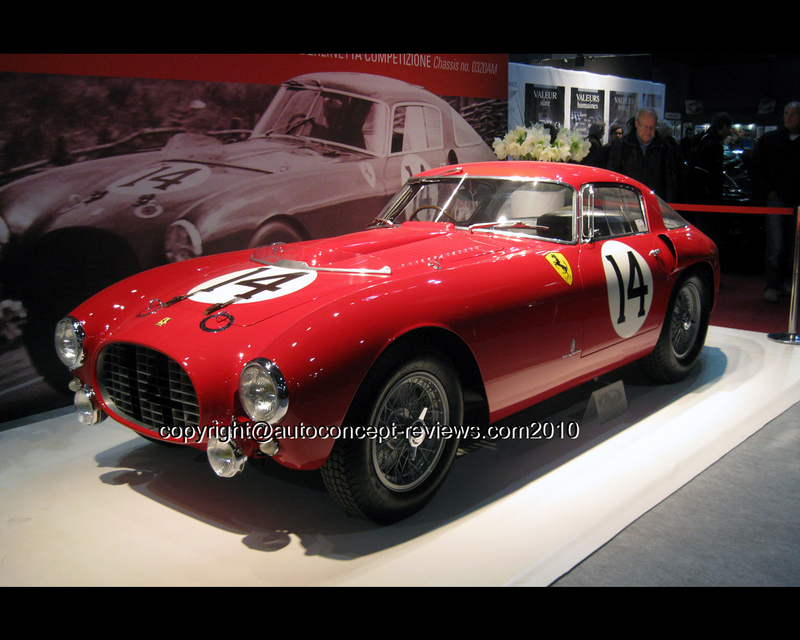 For the 1953 Le Mans 24 Hours the factory entered three new cars with berlinetta body style by Pinin Farina and a wheelbase of 2.600mm (102,4 in.). Two of these cars were fitted with 340 designation and a 4.1 Litre V12 engine for Hawthorn/Farina and Giannino and Paolo Marzotto. The third car with 375 designation was fitted with a 4.5 Litre V12 engine for Ascari/Villoresi. Only one of these cars finished the race at the fith position. It was the Marzotto brothers car. Ascari/Villoresi had an impressive race with several laps in second position but at 21st Hour the race ended with overheating and clutch failure. 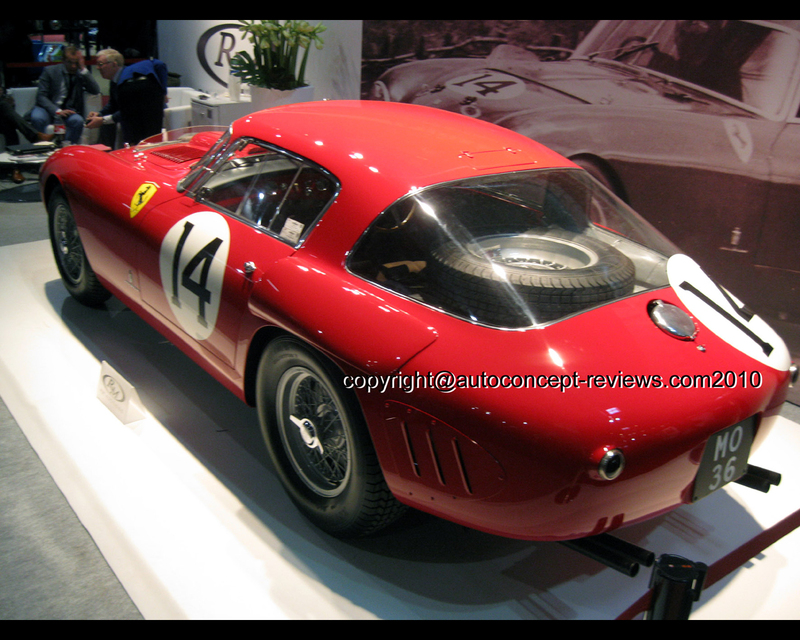 For 1954 Le Mans race, the factory entered three 375 Berlinetta Competizione with 4,5 Litre engine and a reworked front end using plexiglass covered headlamps. One of these cars was later fully restored to 1953 body specification. This explains the 340/375 MM designation of this Berlinetta Competizione with Pinin Farina bodywork. 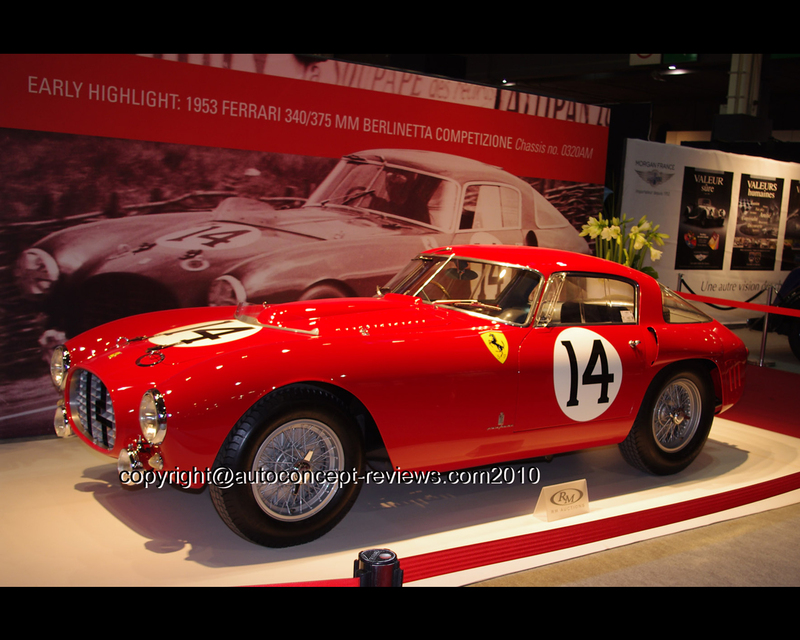 This berlinetta was exhibilted by RM Auction at Retromobile 2013 and will be proposed at RM Auction on occasion Villa d’Este 2013.